“San Francisco” is the seventh album by American Music Club and was originally released in 1994 before they took a nine year hiatus. 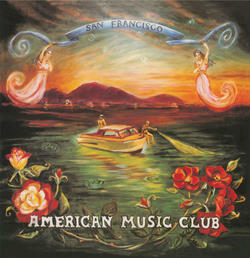 Produced by Joe Chiccarelli and AMC, "San Francisco" is an eclectic collection which balances song writer Mark Eitzel's stark, quiet confessions like “Fearless” and “The Thorn In My Side Is Gone” alongside slicker pop constructs such as “Wish the World Away”, “Can You Help Me” and downer alternative rock anthems like "It's Your Birthday". On 180 gram vinyl from Plain Recordings with the lyrics printed on a black and white inner sleeve. [3:11] Can You Help Me?